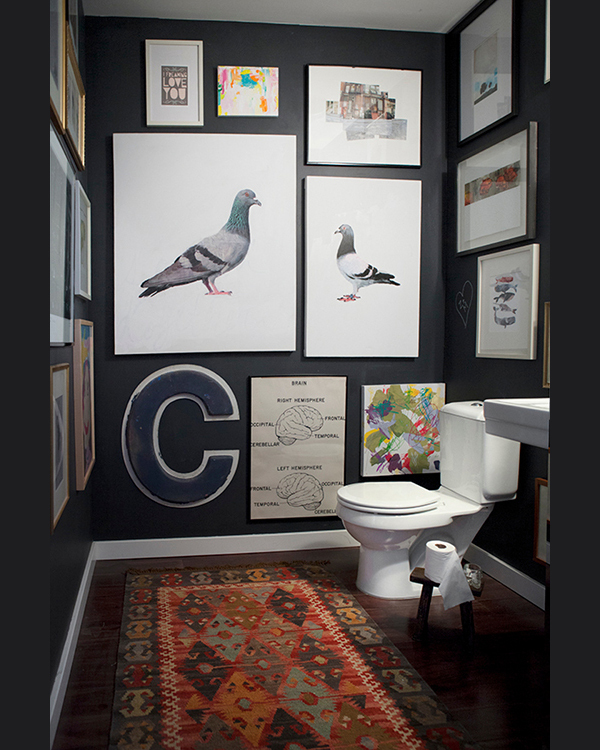 I never really considered the bathroom as a spot for a frame collage, but this photo has changed my mind! Now that I think about it, the bathroom is probably one of the best places for art. I mean, normally you just have a blank wall to stare at, art would provide some sort of entertainment! I currently have a big, blank wall in my bathroom, I'm going to start filling it with art. Hopefully, I'll have pictures to share soon.